A trek to Machu Picchu, an adventure tour to Lake Titicaca, and an afternoon in the Amazon rainforest are just a few of the things that make Peru tours unique and unforgettable. Whether hiking the Inca Trail or bathing in natural hot springs is your preferred activity, Peru is waiting for you! Best time of the year to visit Peru? Maud was amazing in meeting all the needs of our trip. 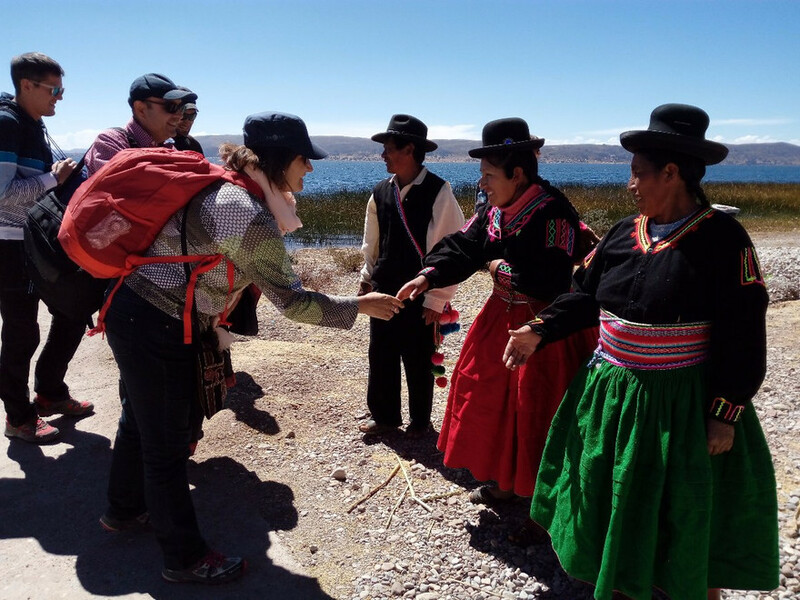 She was always available and helpful in directing our trip in the exact direction we were looki..."
Hundreds of fantastic tourist attractions and options make this fully customizable Peru holiday an experience of a lifetime. 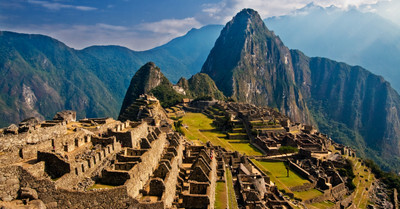 When planning Peru vacations, the iconic city of Machu Picchu is a must. After all, it boasts one of the world's most breathtaking vistas. But it is only the tip of the iceberg when it comes to everything Peru has to offer. Allow local experts to put together a private Peruvian experience—tailored specifically to your interests! Both the beautiful coasts and rugged mountains make Peru a destination for everyone. You will surely talk about this vacation for years to come. Though fully customizable, Peru travel packages most often include a round-trip tour of the country. Beginning in the capital of Lima, you may choose to travel north or south to begin your country tour. If traveling north, your trip to Peru can begin in the historic city center of Trujillo. Enjoy the chance to soak up local culture before moving on to the traditional fishermen’s beach town of Huanchaco. Travel further north to the tranquil village of Tucume, known for its impressive pyramids and breathtaking views. Journeying further inland, you can make your way to the village of Cocachimba. The spectacular terrain is home to the Gocta Waterfall, one of the highest falls in the world. You can even take a dip in the beautiful (yet cold!) base pool of the waterfall. The southern half of Peru boasts wonders of its own. A visit to Machu Picchu is certainly the defining feature of any trip to Peru. Machu Picchu is the best-known archaeological site on the continent, and you can enjoy a guided tour or explore at your own pace. 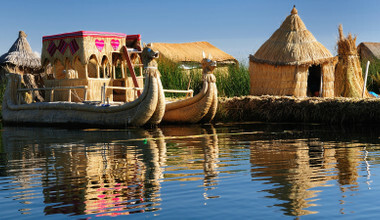 After Machu Picchu, you may choose to kayak or travel by motor boat on Lake Titicaca, the largest lake in South America. 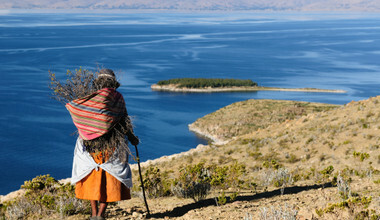 It lies serenely between the Bolivian and Peruvian border and is the highest navigable lake in the world. The neighboring city of Cuzco is a quiet and enchanting place. Picture-worthy rooftop scenery and traditional shops are just some of the rewarding aspects of a round trip of Peru. The Inca trails surrounding Cuzco make for many incredible hiking opportunities, especially if you are looking for a challenge. While in Peru, you will also want to take time to explore the capital of Lima. It features an eclectic mélange of fine restaurants, contemporary art galleries, and luxury hotels. Be sure to sign up for a food tour and sample the delights of the local cuisine. Trips to Peru would most definitely be incomplete without a trek through the captivating Amazon rainforest. Book an Amazon cruise tour of your liking, and prepare to be amazed by the vast and wild nature surrounding you. 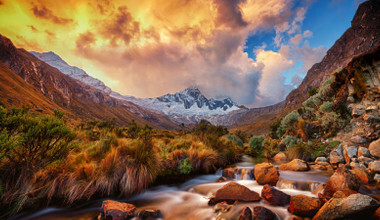 June-September is the driest and most popular time to visit Peru. It can also be overcrowded during these months so to witness Peru with less crowds we would advise going between April-May, and also October. The wet months between November and March should be avoided, especially for Inca Trail treks and Machu Picchu treks. Somewhat surprisingly, in the last two decades Peru has emerged as one of the finest cuisine destinations on the planet. Of course, speak to the locals and they will tell you they have seen it coming! Peruvian food tours are gaining attention worldwide and are quickly becoming popular components of any travel in Peru. What is so special? Some say it is the seemingly incongruous mixes for the palate—for example, uncooked fish paired with fruit. But “outrageous” dishes like these are gaining attention. Ceviche, although common throughout Latin America, is a Peruvian delicacy that pleases most everyone. Another Peruvian favorite is roasted guinea pig, which has been intriguing travelers for years. 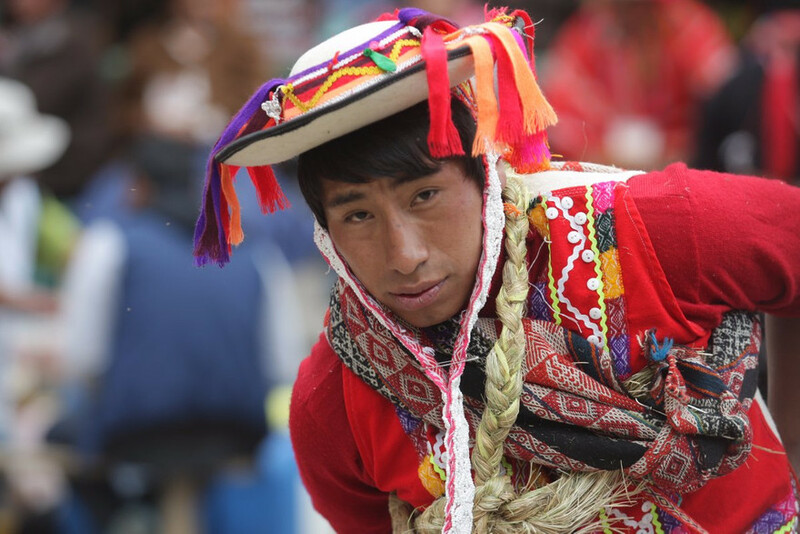 While Peruvian cuisine is colorful in its own right, the vibrant Peruvian clothes are not to be overlooked. With many opportunities to browse local shops, you may just find yourself adopting the rich Peruvian trends, both abroad and when you return home! 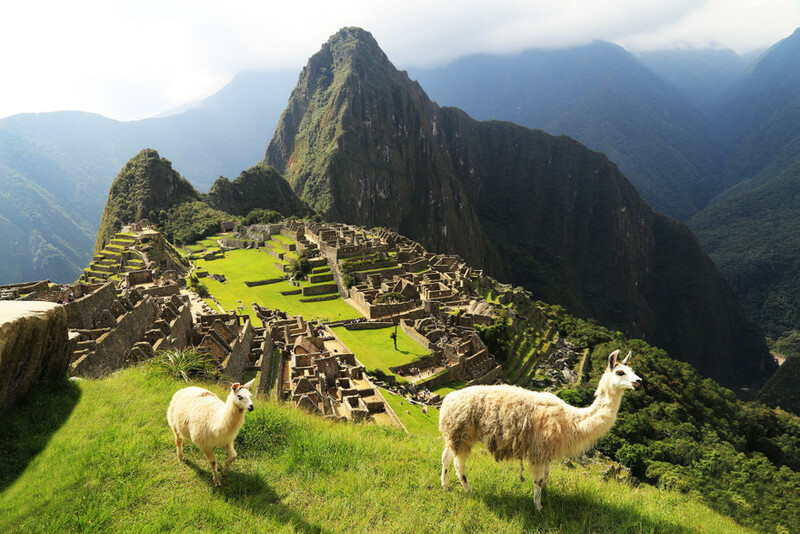 Over the years, Peru has established itself as the ultimate South American destination. With its fascinating landscapes and absorbing history, people with all kinds of interests can enjoy a Peru tour. Its central location allows for easy travel to other countries within the continent as well. A Peru vacation just might be the perfect excuse to visit the bordering countries of Ecuador, Colombia, Bolivia, Brazil, and Chile as well! 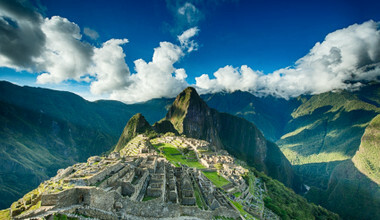 The formidable and enigmatic trails carved by the Incas are now popular destinations that attract millions of visitors. Come and experience them for yourself and marvel at Peru’s ancient wonders. Enjoy both the calm of Cuzco and the bustle of Lima. If you are interested, our destination experts can also put together a Peru holiday package that includes a visit to the quieter beaches on Peru’s lesser-visited coast. The incredible food is another factor that makes Peru tours unforgettable experiences. Peruvian cuisine is some of the finest on earth, and Lima in particular is known as one of the world’s best-kept gastronomical secrets! If fine dining is a personal requirement for a stellar vacation, look no further. We can book you a private Peruvian food tour before the word gets out! If you are looking for hands-on experiences, you can even book a cooking class and learn how to create Peruvian dishes at home. Regardless of your vacation preferences, Peru is happy to accommodate. Enjoy adventure-packed days, relaxing outings in picturesque locales, or a perfect combination of both. With all of these options (and more!) 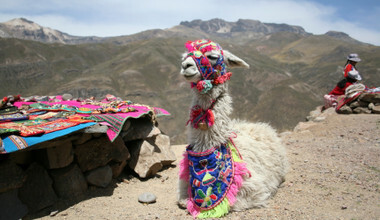 open to you, luxury Peru private tours are favored options for both new and experienced travelers. The country's considerable charms, impressive tourist infrastructure, and number of high-quality local travel agents are only a few of the reasons to make Peru your next vacation destination. 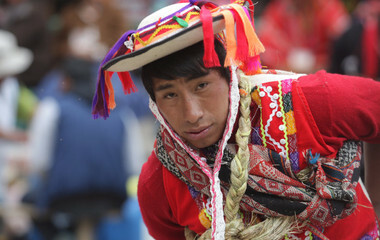 To get the most authentic experience and the best service the ideal route is to book with a local travel agency in Peru. Traditional tour operators are rarely in touch with the locals and planning your trip beforehand can be an arduous and rigid process. We at trip.me offer an alternative, giving you access to real local agencies in Peru who boast an abundance of first-hand knowledge of the country. With trip.me you book your trip direct with the experts, meaning you get a completely personalized service and the best advice at your fingertips and, better yet, you also save money. While traditional tour operators charge extra for unnecessary middlemen, we believe in offering fair prices for both the traveler and the tour operator. More money in your pocket, more money in theirs. Peru trips are an unforgettable experience, and a visit to the country is one that won't be forgotten in a hurry. So why wait? 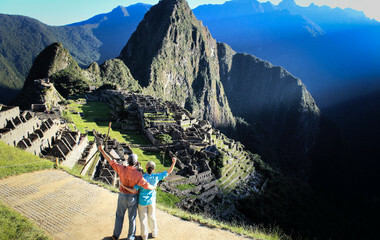 For your dream Peru trip, the first step of your journey is here: trip.me. Maud was amazing in meeting all the needs of our trip. She was always available and helpful in directing our trip in the exact direction we were looking for. Very professional and helpful. A pleasure to deal with. This has to be one of our most memorable trips. I would highly recommend trip.me for anyone looking for a great experience. From the planning stage with Maud to the end It was flawless! The guides were amazing and so informative about each of the areas that we travelled. They were key to what made our trip memorable. Our guide Ricardo was so knowledgable as we traveled around Cusco, Sacred Valley and Machu Picchu. He was a pleasure to have guiding us. Our guide Milton took over from there and continued with us to Puno and Lake Titicaca and on to Juliaca where he saw us into the airport to help get us checked in. This was so helpful. We had many laughs with Milton, and thoroughly enjoyed his knowledge of the area and found the history here so interesting. All of our drivers were very courteous and always on time. Our accommodations could not have been better, each one special and unique in different ways. They were all very high end and far superior to what we expected. The transportation, planes, trains and automobile arrangements were wonderful and went very smooth with no glitches. If I could recommend one thing, it may have been a little easier at the Lima airport for our domestic flight to have had the guide go in and get us in the correct lineup. The Lima domestic terminal at the airport is extremely busy and a little chaotic. We did feel a little uncertain about where we were to go , the language barrier added to the confusion a bit. Not a major issue and we did get checked through on time with no real issues. Some highlights of the trip that we all really enjoyed thanks to Maud making them happen were, Machu Picchu obviously, our stay at Sol Y Luna in the Sacred Valley, I would recommend spending a couple of nights here. Absolutely beautiful. Our Kyak trip to the Reed Islands on Lake Titicaca, staying at Suassi on Lake Titicaca a beautiful private eco island and lodge. All the staff there and our guide on the island were so nice and welcoming. Our gastronomic bike tour in the Barranco area of Lima was also more than we expected. All in all I can't say enough about our entire experience with trip.me for our Peru Trip. Thank you to Maud and all those that made this trip so memorable! We stumbled upon Trip.Me randomly on a google search as we were trying to plan our honeymoon to Peru and were very pleasantly surprised by their services! We had never used a travel agent before so we didn't quite know what to expect. Nicholas and Anne were super quick to reply while emailing back and forth during the planning process, and we were pleased with their thorough itineraries. We changed our itinerary several times during the planning process and also made some changes while in Peru and the Team was super helpful with this! We decided we wanted to extend our stay in Cusco and add an extra day in Aguas Calientes after our Machu Picchu trek, so we just emailed the team and they were quick to make all the necessary changes to our hotels and transportation. Their help made our trip virtually stress free and we loved the flexibility they offered. Had we not gone through Nicholas - we would have had difficulty I am sure in organizing transportation/changing all of our hotels. They also sent us a message on WhatsApp several times throughout our trip to make sure all was well with us, which we really appreciated. Lorena was fantastic. we were difficult to cater for, but she was really good and persistent in following up. Deep respect! Nicholas and all the staff, especially our guide Diego, were very professional. Our trip was not the typical visit to Perú; we didn't want that. We saw ruins along the north coast that were thousands of years older than Machu Picchu! Diego even added a few surprises when time allowed. Our accommodations were safe and clean, and the food was all local, delicious, and beautifully presented. Diego's English was great, and he was so knowledgeable about everything we saw. He was even able to trouble-shoot a problem I had with my phone!